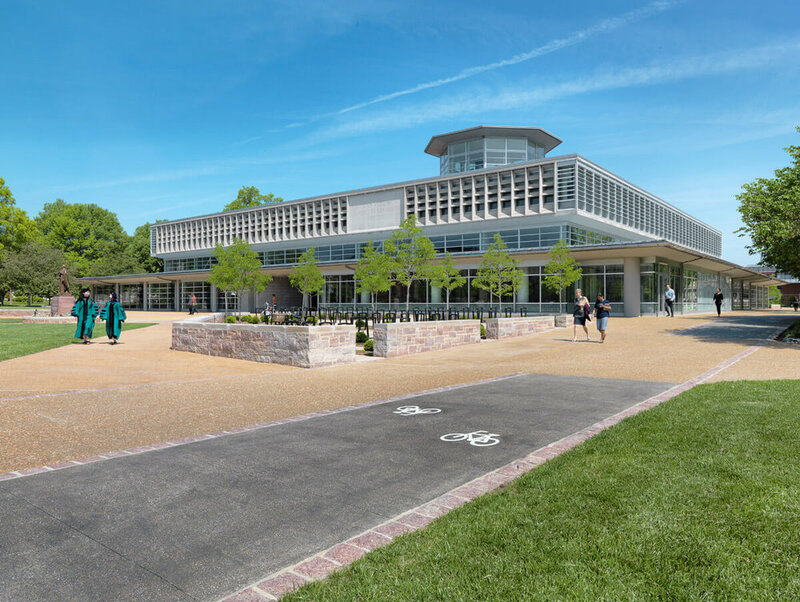 The St. Louis Business Journal recently ran a Q&A with V3 Principal Kurt Kerns about the 60+ media and communications facilities the firm has completed since its inception in 2010. In the interview, Kurt describes his experiences working on these projects as well as how things have changed over the past decade. "It was a bit surreal to attend the inaugural broadcast out of Jim Rome’s new studio in Los Angeles, fly back to St. Louis and randomly watch the broadcast on a TV at a Maplewood sports bar later that same day while grabbing a sandwich," V3 Principal Kurt Kerns said. 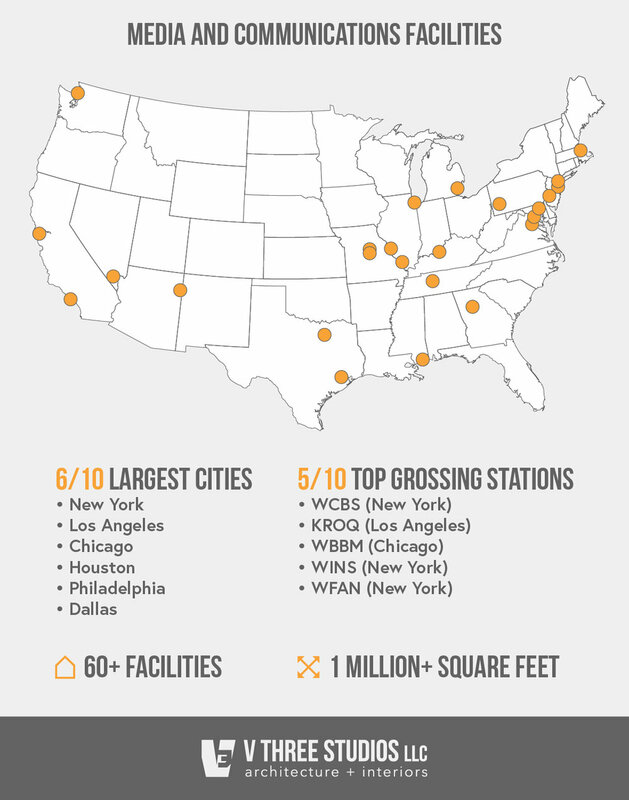 To date, V Three Studios has completed media and communications facilities in 6 of the top ten largest cities in the U.S., including 5 of the top ten grossing stations nationwide. How did you get started building these facilities? I’ve been building media and communications facilities like recording studios, A/V post production suites and radio/television broadcast studios since 1995 when I designed and oversaw the construction of Playroom Recording Studios & Grand Central Post in the Power House behind Union Station. We started V Three Studios around a decade ago, and our work in media and communications production facilities has continued to grow and expand. 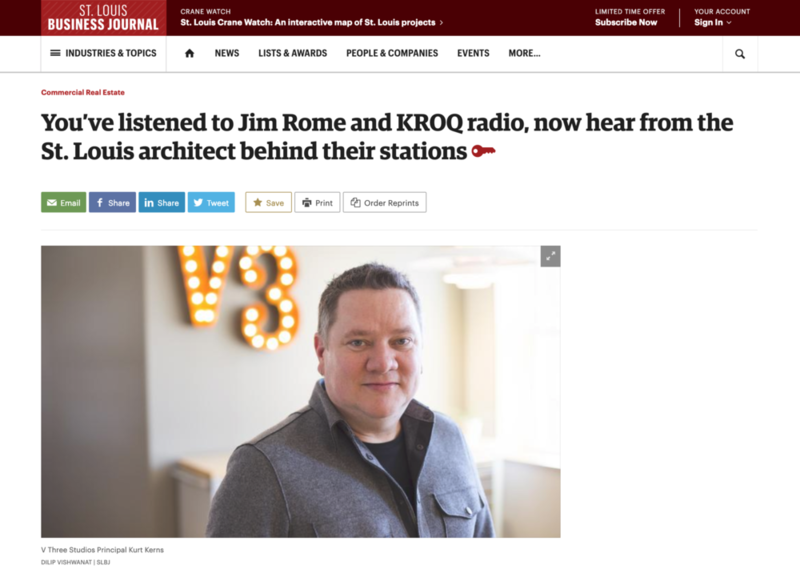 I have been doing this for so long now that we are building the next generation facilities for some of the original build-outs from the early 2000s, like KROQ in Los Angeles and WBBM News in Chicago. It's very informing to see how the business models and technical needs of these media operations have evolved over the past two decades. What goes into designing these facilities? How different are these designs from other typical projects? 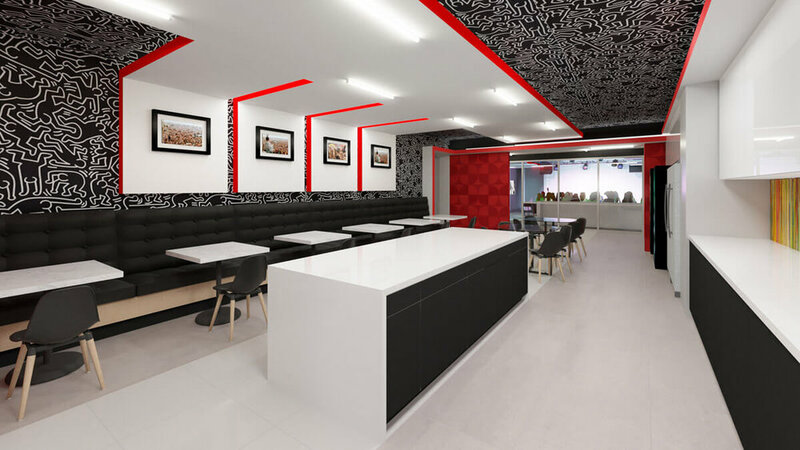 The main challenge in these technology-driven spaces is incorporating the infrastructure into the built form while maintaining aesthetic appeal and reflecting a client’s brand or company personality. 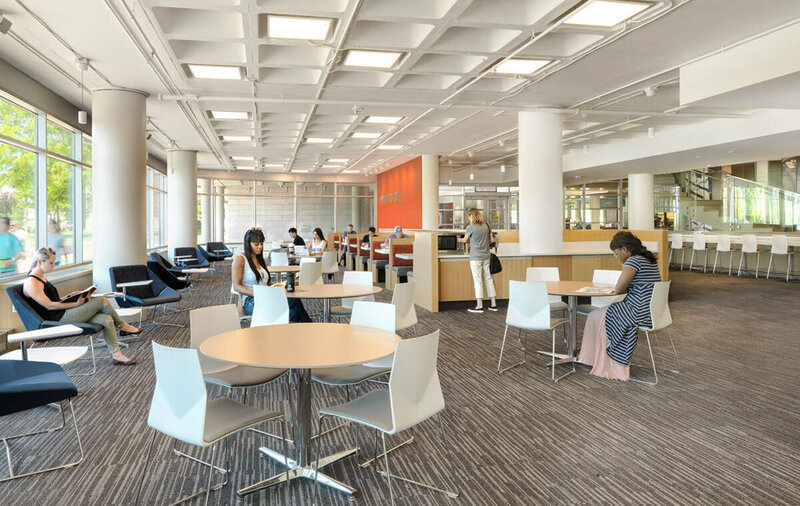 A typical architectural project a decade ago was usually concerned with creating a functional space and a clear aesthetic direction, and the technology infrastructure was added later in the process like the icing on a cake. Modern media facilities could not be more different. We have to design the technology into the project from day one in order for these facilities to serve their intended purpose and be adaptable for new technology in the future while also maintaining a quality aesthetic and creative environment for the end users. Any notable projects that stand out for you? A significant experience for me was (in 2017) building the Navajo Nation's Media & Communications facility in St. Michaels, Arizona, which serves as the main source of news and entertainment for the residents of the reservation. We worked with the tribe to create a modern facility with digital capabilities that also honors their heritage and culture, giving them something they can call their own while connecting with Navajo people across the country or even overseas. With the huge gaps in cell service and even power in that remote area, helping build a facility that connects the whole reservation was a really rewarding and inspiring experience. What impact have these jobs had on the company? Having such deep experience in this space has certainly helped keep the firm going for the past nine years, but at this point, it only accounts for about one third of our active projects. The rest are in higher education, banking, commercial facilities and breweries/restaurants. Media and communications projects are often our foot in the door with new clients and lead to more diverse projects that speak to our team’s broader skill set. To that end, I’m happy to say that we’ve increased our revenue consistently every year and are continuing to grow both regionally and nationally. One direct impact of these jobs on our team has been the exposure to design and construction trends and best practices on a national level. We can travel to New York or San Francisco and take note of what people are doing there, then come back to our office in St. Louis and do world-class work at a Midwest cost. 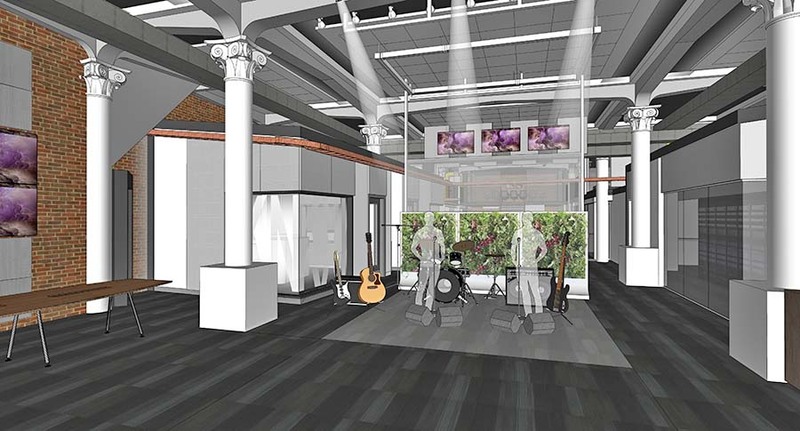 KNKX, the largest NPR affiliate in the Seattle/Tacoma metro area, has partnered with V3 for their move into the historic Payless Building in downtown Tacoma’s Theater District. 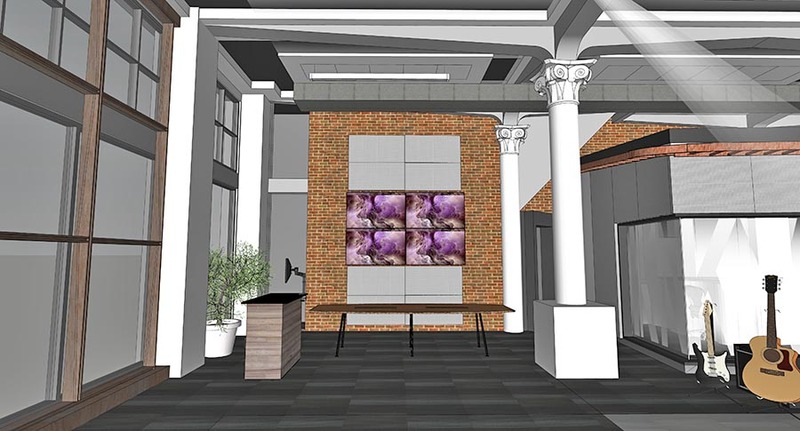 V3 was brought in as a design consultant for the renovation of the 7600 sf ground floor, which consists of 4 studios, a community focused multi-purpose performance space, as well as open office and support spaces. 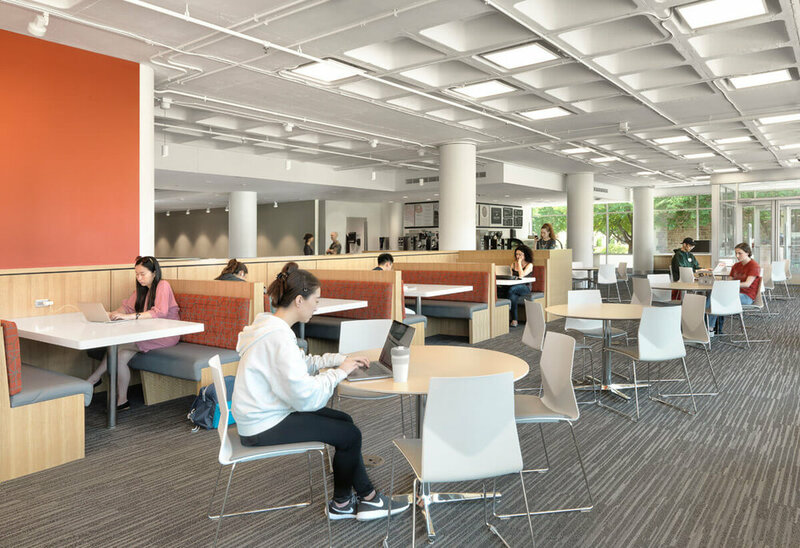 The new, modern technical spaces frame and accentuate the existing Corinthian columns and elegant beams that characterize the interior, while also displaying broadcast components to the public. 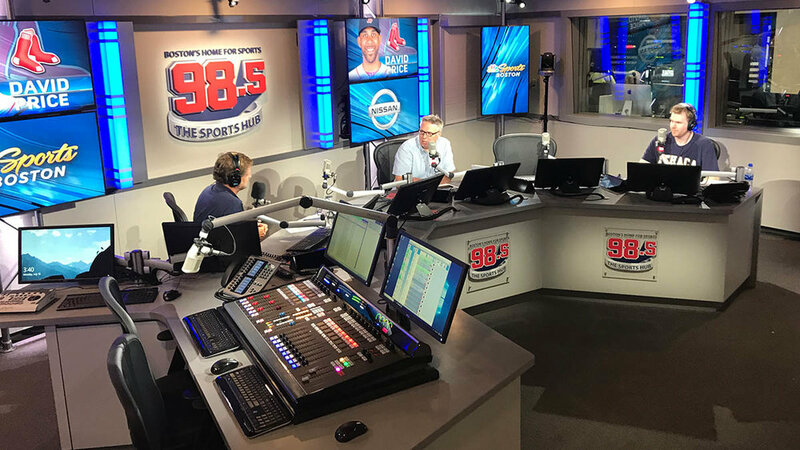 When Beasley Media Group acquired Boston sports radio station 98.5 FM “The Sports Hub,” they needed a fast-track solution for a new studio that would support both on-air and video capabilities – all while ensuring that Boston’s number 1 sports radio station stays on the air 24/7. 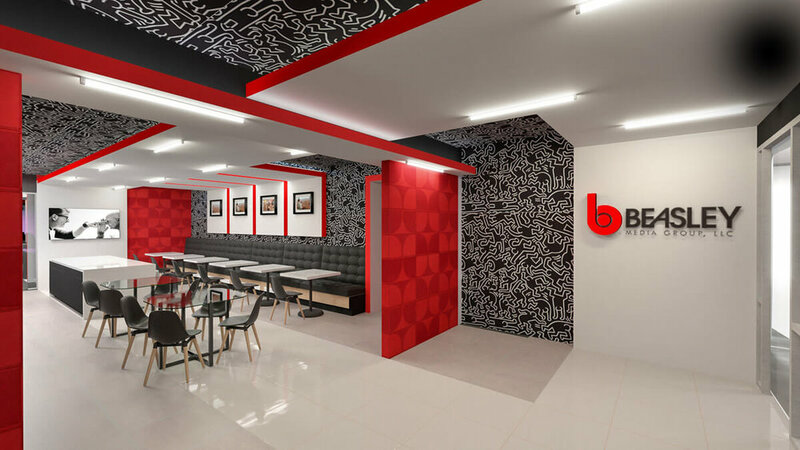 To accomplish this feat, Beasley turned to V Three Studios to spearhead the transformation of “The Sports Hub” into a state-of-the-art multi-disciplinary studio that would support various formats of content creation, from radio to television to podcasts. V3’s knowledge in sound isolation, combined with their experience in renovating existing radio studios to support both radio and TV broadcasting, made them a natural choice for this project. 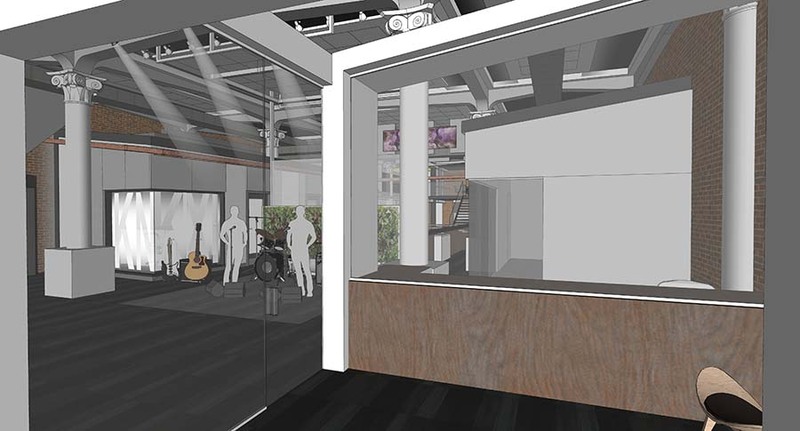 The design for the new facility includes a 1,100-square-foot core broadcasting studio, flanked by two radio control rooms which support both the radio and video functionalities. A custom-built studio desk was installed with several bordering video monitors for branding and content, to be utilized for both video and radio operations. New, acoustic windows sourced from a local vendor were installed between an open seating area and the new studio for visitor viewing, as well as between each control room and the studio for operations. Mechanical black out shades from Mecho were installed to block the natural light from the exterior of the building into the studio for control during operations. The shades are seamlessly integrated into the interior design of the studio so they disappear with the rest of the studio back drop. Beasley Media Group in Philadelphia has partnered with V Three Studios to consolidate and renovate its existing 32,000-square-foot facility, including the addition of a 50-seat performance studio. 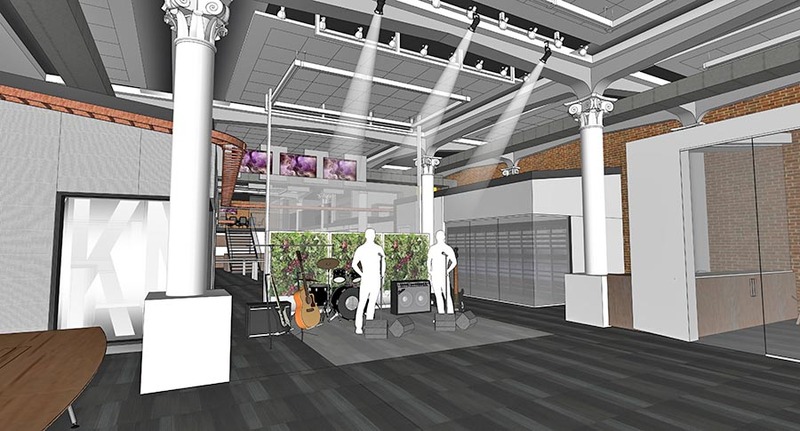 The consolidation will bring the company’s five stations – including talk and production studios – and supporting offices to one floor, allowing for a more cohesive and connected experience for both staff and visitors. 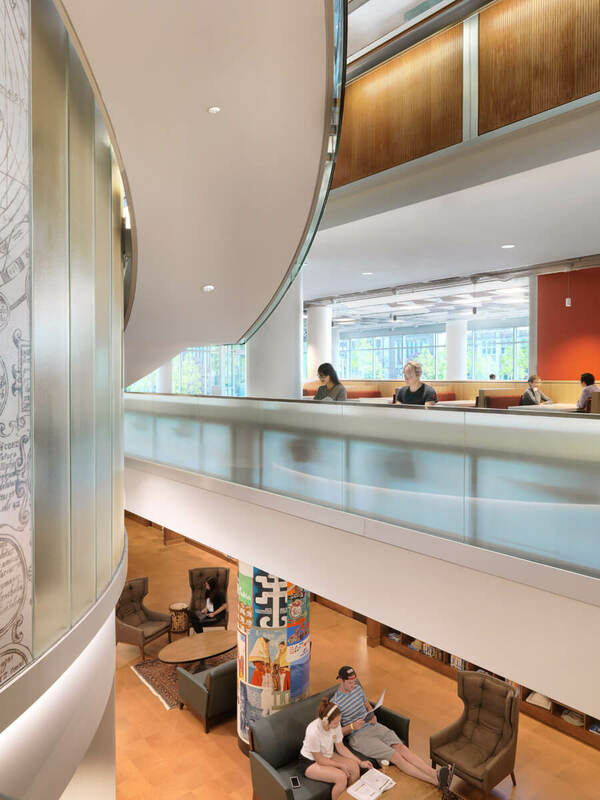 The design incorporates a central public core, including a new formal entry lobby, flanked by a corporate board room and multi-purpose break/lounge room. 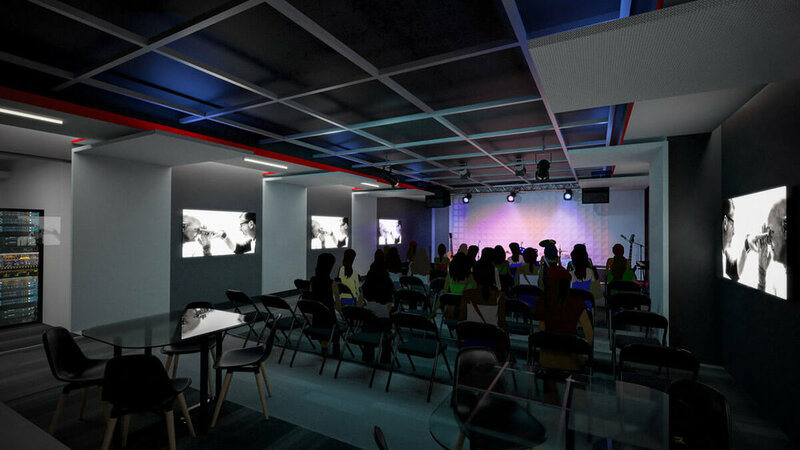 To provide overflow space for large venues, a new performance studio will be positioned on axis with the multipurpose room. The new office and support spaces maximize the infiltration of natural light, while glazed office fronts and frameless glazed partitions help to improve internal visibility and openness. The project is expected to finalize by early 2020.